It can be daunting trying to learn a new skill on your own and studying Python Programming is no exception. Whether you’re a first time coder or want to solidify your foundation, it is comforting to learn through expert-recommended resources. Lantern Institute, in collaboration with our Python Instructor, has curated the following materials. These resources will provide a strong foundation for any programming use. However, the specific topics listed below are aimed at preparing potential students for our Python Programming Course and our Mathematical Finance and Data Science Program. These courses are available through Udemy and regularly go on sale. You know what they say: Practice Makes Perfect! The saying certainly holds true for learning Python. Therefore, Hackerrank is our recommended resource for your practice. If you work through these beginner resources and want more of a challenge, feel free to reach out to the Lantern Institute team for more advanced resources! We've made improvements to our Data Science Program! One of Lantern Institute’s cornerstone philosophies is continuous improvement to not only stay aligned with industry needs, but to also improve the learning experience for our students. How is the Program Structured Now? Students take two fundamental courses, Python Programming and Statistics with R. Then, based on in-class performance, career goals, and our expert instructors’ recommendations, students are filtered into one of the three streams. Students then spend three months diving into advanced topics like machine learning and big data for the Data Science Stream. Checkpoints are large assessments that help our students, instructors and management team determine which stream the student is best suited for. Our students have a variety of backgrounds from finance to theoretical physics, giving every student a unique skillset with different advantages. By focusing on one specialization that aligns with your background, you will have a more enjoyable and enriched learning experience. When networking to secure employment, it’s better to have a small, targeted network than a large, but unrelated one. By matching your skill set to a stream you are also aligning yourself with similar-minded instructors who have relevant professional networks. This means you are more likely to be connected with the right people to help you launch your career! 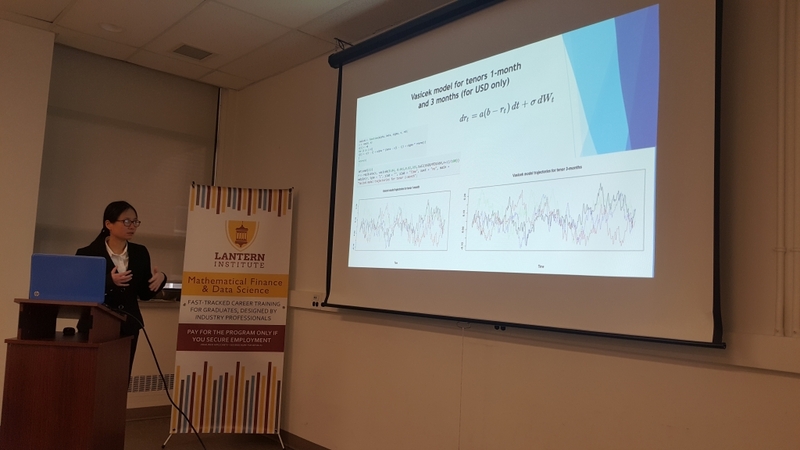 Last week Lantern Institute collaborated with the University of Toronto to hold a complimentary workshop for science, technology, engineering, and math students: The Perks of Being a Data Scientist: Practical Data Tools for STEM Students. Twenty four bright and eager University of Toronto students took time out of their hectic midterm schedules to learn from two of our amazing instructors. 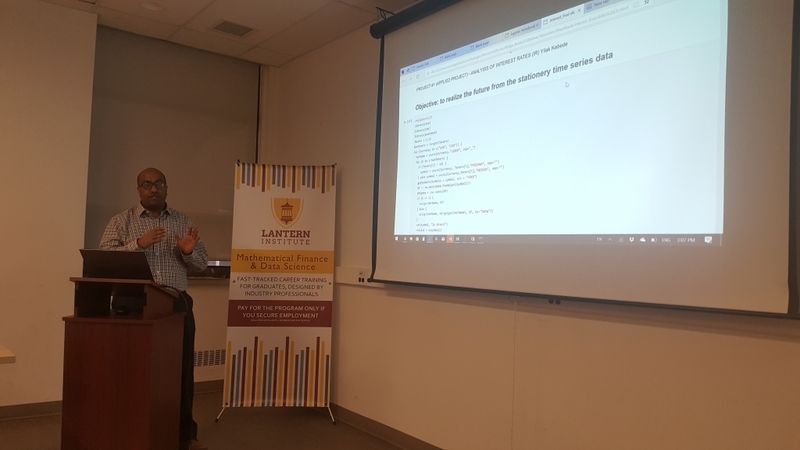 From our Python Instructor, they learned the kind of work a data professional, like a data scientist, does, the tools they use everyday and how to practice using these tools currently. 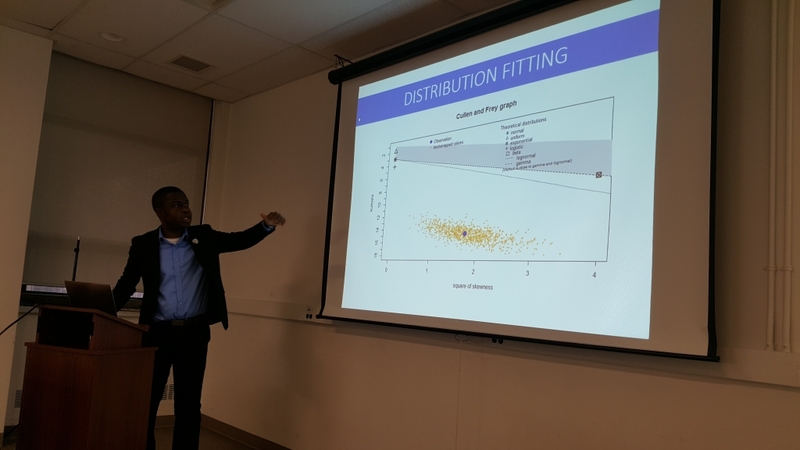 From our Machine Learning Instructor, students learned popular machine learning applications, how they are used in industry and how students can begin to learn these tools. After the presentations, students had ample time to network with our instructors. They asked questions about the content and spoke with our management team to help determine if a data career is right for them. If you are considering a career as a data professional our team is happy to consult with you. We can help you determine if a data career is right for you and how you can best launch your career (even if Lantern Institute is not the right option for you). 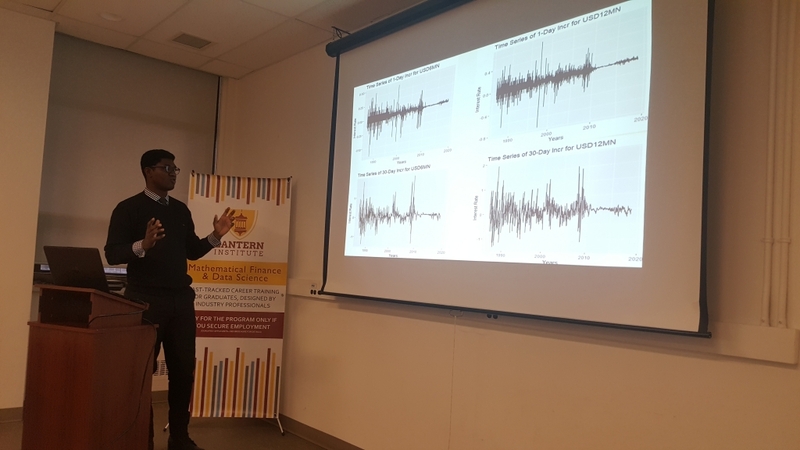 Thank you to the event attendees, the University of Toronto for hosting us, and the amazing team at the University of Toronto Career Centre for helping with the event organization and promotion. If you were unable to attend this event, keep an eye out for future workshops! This past weekend we had the pleasure of attending the 2019 WISE National Conference. 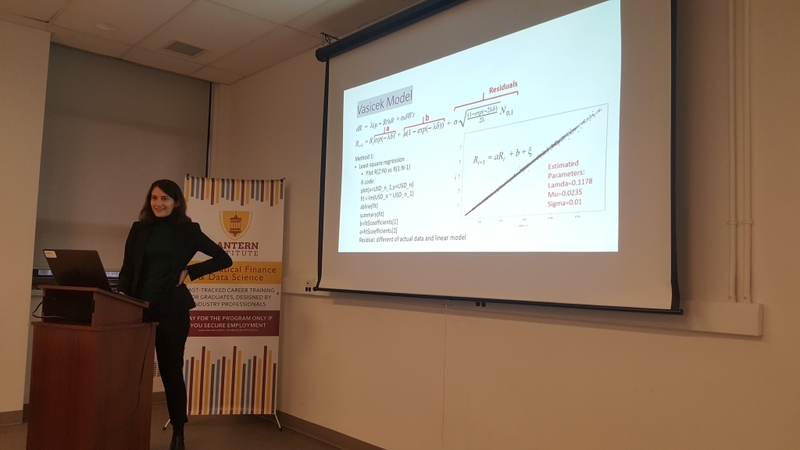 WISE (Women In Science and Engineering) is an incredible initiative to bring women into STEM fields and connect women working within the industry to students. This initiative resonates deeply with Lantern Institute because of the under representation of women in Data Science. To encourage women to enter the Data Science field we offer a Women Succeeding in Data Science Scholarship. It’s awarded to our top female applicant. The recipient is able to attend our program at no upfront cost. Not only was the Women in STEM conference chalk-full of impressive speakers and panelists, the students had access to a pitch and design competitions and a career fair. At the two-day conference we manned a booth throughout the career fair. We were able to meet some incredibly bright students. To hear their experiences and passion to make a positive change in our world was inspiring . We are grateful for the opportunity to connect with such impressive individuals! We would like to extend our thanks to the University of Toronto’s WISE chapter for organizing this Women in STEM conference. They ensured the weekend ran smoothly for sponsors and attendees. We are already counting down the days until next year’s conference! An important skill for data scientists is to be able to summarize their findings in an efficient manner. We believe students should master soft skills such as presenting along with technical skills to become well-rounded, desirable employees. To facilitate this, students receive final projects that allow them to do a deep dive into the course subject matter, honing their technical skills. 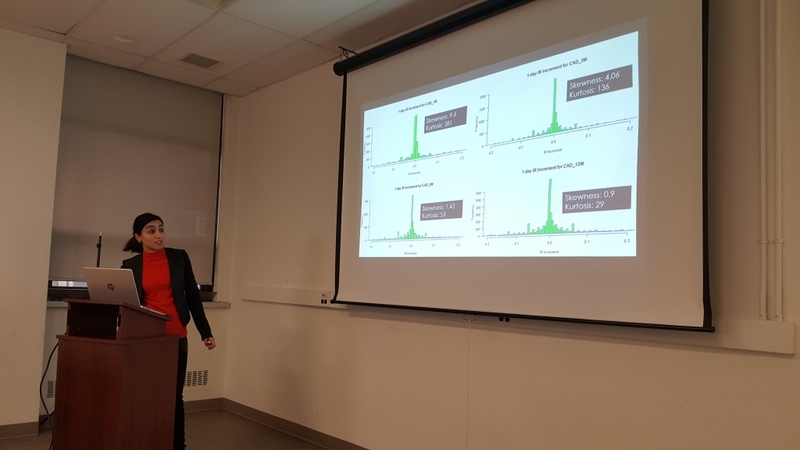 For their Statistics with R final presentation, students were required to summarize their findings in a short presentation. They shared this presentation with a panel of judges. The panel of judges is comprised of subject matter experts and professionals who are unfamiliar with the technical work. Students need to prepare their presentation in a way that is appealing for the varied audience. This mimics the interview environment and prepares them for their future careers. We are very proud of our September 2018 cohort! 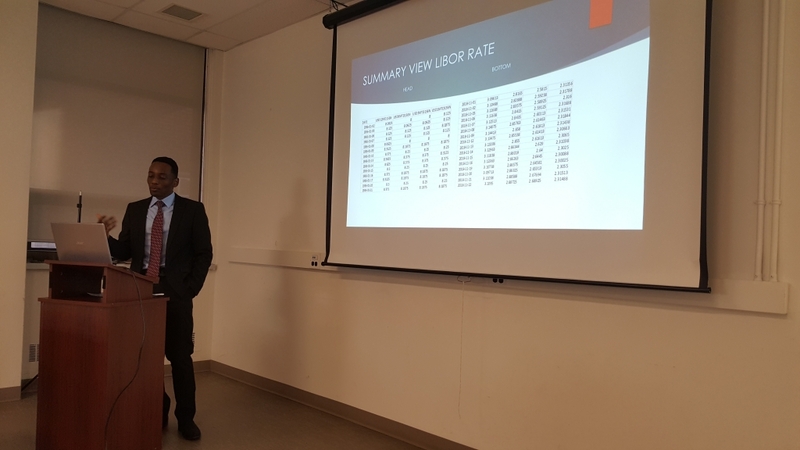 They’ve dedicated countless hours to our Data Science and Mathematical Finance program and their hard work shows in their Statistics with R presentations. We are looking forward to seeing their continued success and growth in the second half of our program! Here’s to Another Successful Session! 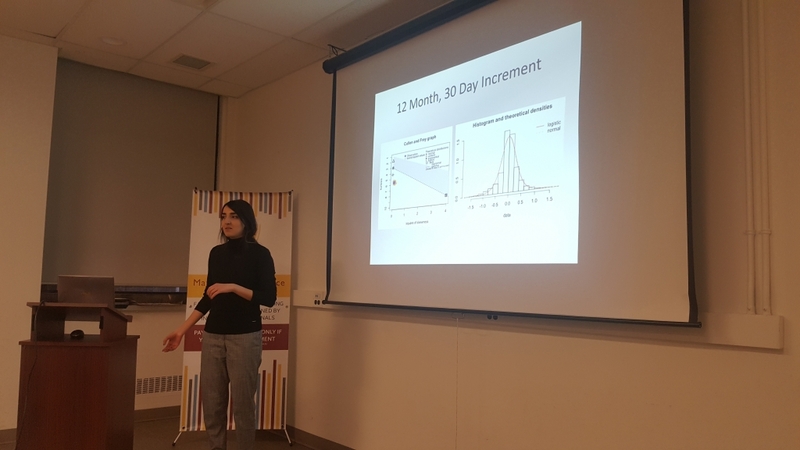 To kickoff our Fall 2018 Mathematical Finance and Data Science Program session, we invited students, instructors, and industry members to Goose Island Brewery at the Bier Markt in Toronto for a celebratory evening. Thankfully, the cold and rainy weather held out for one more evening so we were able to enjoy the large patio space in comfort. 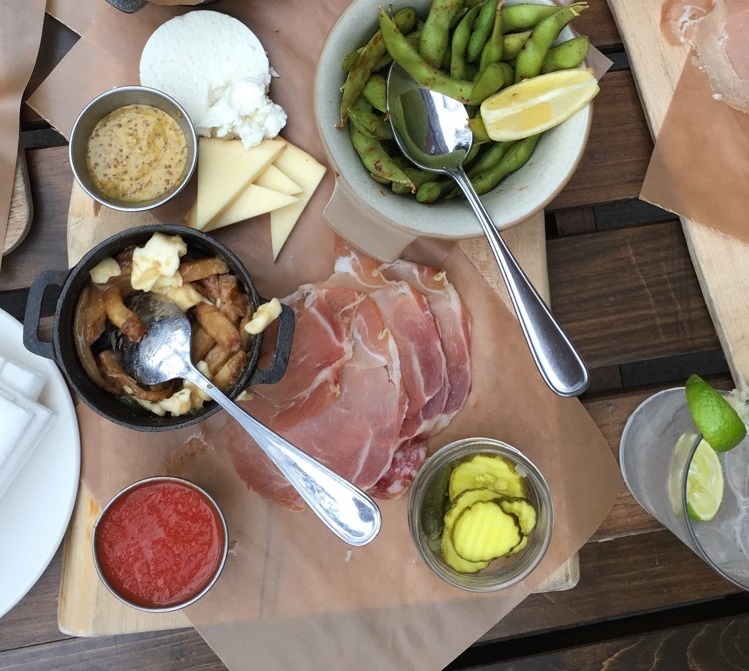 We dined on delicious appetizers ranging from deep fried Gouda balls to edamame while we celebrated. The food was quickly enjoyed prompting second and third rounds to appear from the kitchen. During the event we announced our Fall 2018 Scholarship winners! Nastaran Rahnama was awarded our Women Succeeding in Data Science Scholarship because of her motivation and strong background. Aloagbaye Momodu was the recipient of our Top Application Scholarship because of his outstanding technical background and personal drive. Dr. Montazeri awarding Nastaran Rahnama with the Women Succeeding in Data Science Scholarship. Dr. Montazeri awarding Aloagbaye Momodu with the Top Applicant Scholarship. 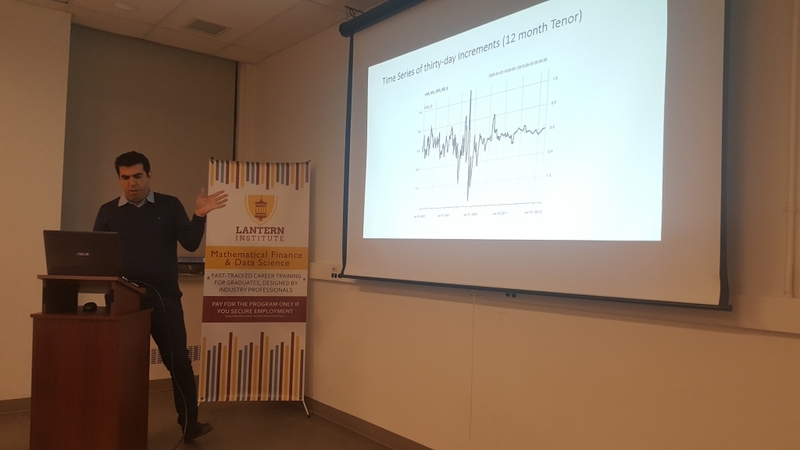 This celebratory evening also served as Lantern Institute’s Fall 2018 session’s first networking event, a cornerstone of the Lantern Institute philosophy. Networking can be the difference between hoping your resume is selected from the hundreds of other resumes and having a fast track to an interview. We connect our students with our instructors, industry members, and recruiters through events likes this to provide a relaxed environment to foster connections. In these settings students are able to inquire about career options, the industry and industry trends to help determine the right career path for them. Students and Instructors taking a break from networking to pose for a picture. We would like to extend our thanks to all of the students, instructors, and indsutry members who attended the event and to Bier Markt and Goose Island Brewery for accomodating our large party and helping to make the event a success! Congratulations again to our scholarship winners Nastaran and Aloagbaye! We are happy to welcome twenty two bright and eager students into our Fall 2018 Mathematical Finance and Data Science Program. 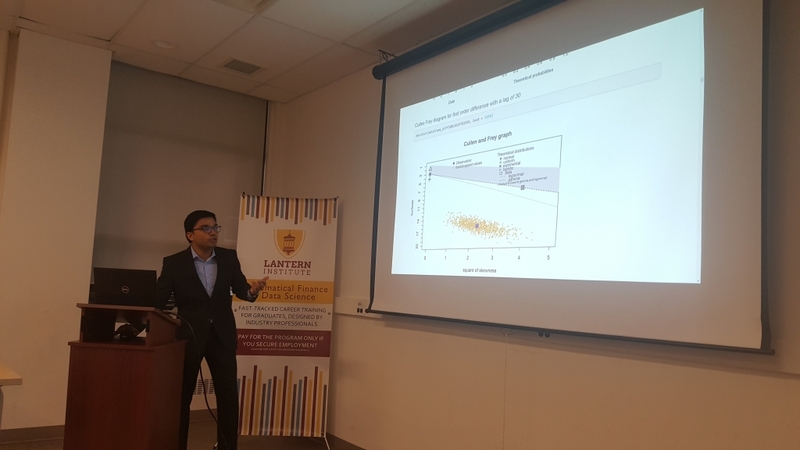 Our first lecture, Statistics and R, was held on September 24th. 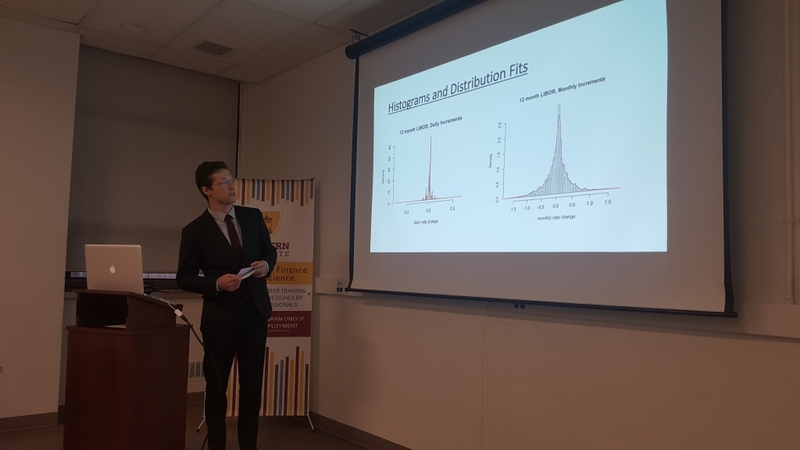 After some celebratory refreshments and cupcakes, Dr. Dmitry Vyushin welcomed the students to the program and his course before jumping into his lecture. 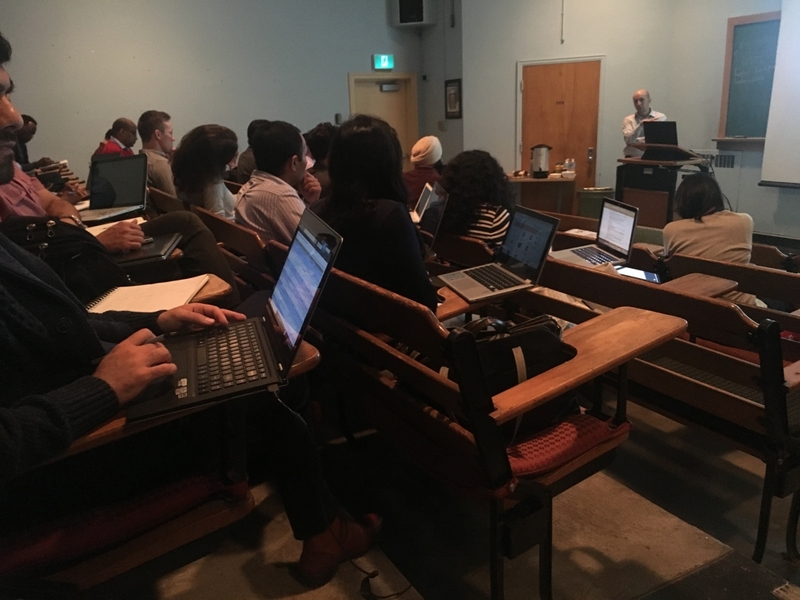 Throughout the week, students attended an Advanced Excel and VBA lecture taught by Dr. Esmaeil Safaei and a Python lecture taught by Dr. Ali H. The lectures were filled with insightful questions and in-depth discussions after class. 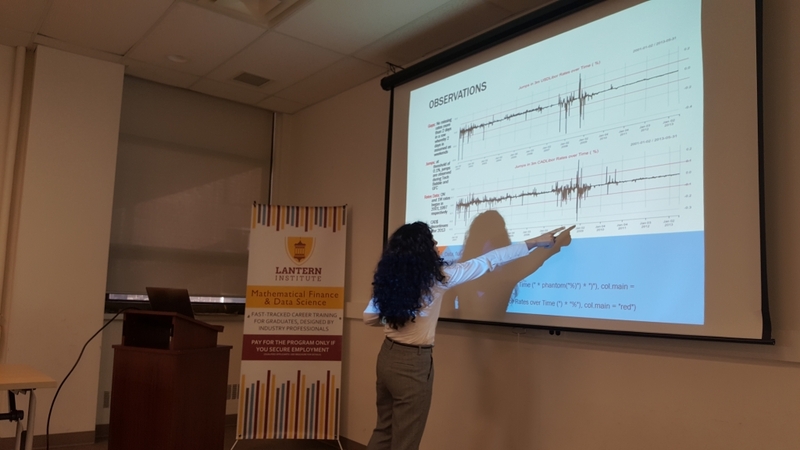 The Lantern Team is very pleased with the successful first week of lectures and we are excited to watch our students progress throughout the program! What is Data Science and who is a data scientist? If you are looking to advance your career in data and analytics or it you are wanting to embark on a data science career, you might be asking yourself these questions over and over. You may even have a few good answers in your mind as well. Below I’ll give you my definitions based on my experience as a Senior Data Scientist as well as an overview of data science’s impact on industry. Data science is where statistics, data analyses, machine learning and big data tools, and ecosystems meet to understand and analyze a real-world phenomenon. Turing award winner Jim Gray imagined data science as a “fourth paradigm” of science (empirical, theoretical, computational and now data-driven) and asserted that “everything about science is changing because of the impact of information technology” and the data deluge [1,2]. A data scientist typically has knowledge about statistics, machine learning and big data analysis techniques and tools to infer insights from data. With the emergence of massive amounts of data and big data tools, there is a need to derive insights from petabytes of data to train machine learning algorithms which can learn and extract the underlying patterns from data. A data scientist helps companies make better business decisions by using available toolkits to transform data and derive insights. Data science and machine learning are having profound impacts on industry, and are rapidly becoming critical for differentiation and even survival. With data scientists’ ability to frame complex business problems as machine learning or operations research problems, data scientists hold the key to unveiling better solutions to old problems. Data scientists can also make “big data expeditions” for cases where there is no clear objective other than to explore the data for previously undiscovered value . Traditional industry approaches to data analysis use small amounts of data and they often miss out on key insights. A data scientist can improve on these processes and products (e.g market segmentation) by doing a deeper dive into the data to uncover missing insights. Today, industries are inevitably coupled with big data and data science has found its way into many industries. For example, financial institutions, health care organizations, retailers and many other industries have become dependent on data science insights in order to survive and progress. Your career in data science can take you to any one of these industries and as more and more industries jump on the big data band wagon, your career options become endless. Stewart Tansley; Kristin Michele Tolle (2009). The Fourth Paradigm: Data-intensive Scientific Discovery. Microsoft Research. ISBN 978-0-9825442-0-4. Bell, G.; Hey, T.; Szalay, A. (2009). “COMPUTER SCIENCE: Beyond the Data Deluge”. Science. 323 (5919): 1297–1298. doi:1126/science.1170411. ISSN 0036-8075. Celebrating the first round of hiring! 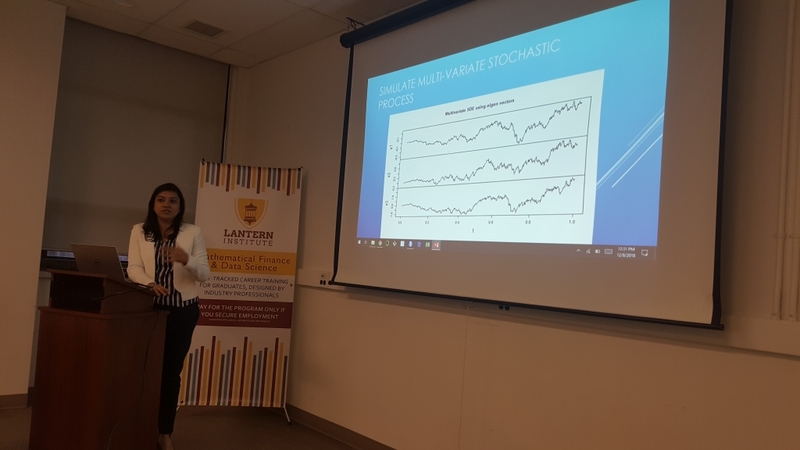 Many impressive individuals came out yesterday evening to learn more about our Mathematical Finance and Data Science Program. Their response in one word: “Amazed”. The attendees’ jaws dropped at Lantern’s tuition structure: Students don’t pay tuition unless our program helps them find a job. 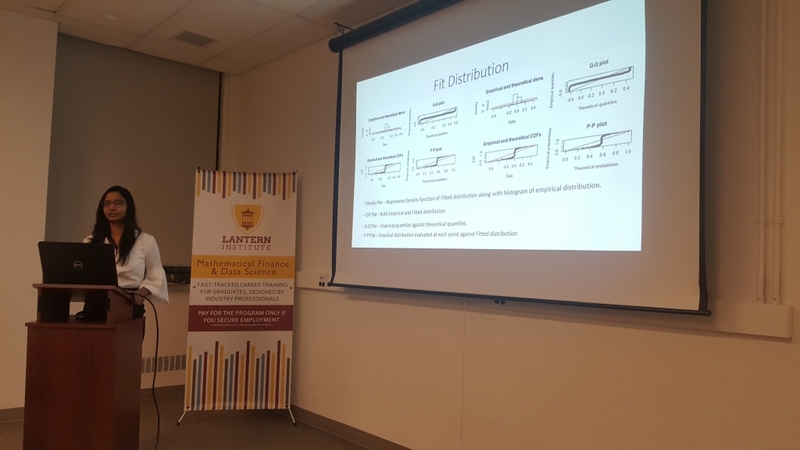 Dr. Montazeri, Lantern’s Program Director, repeated our innovative payment structure multiple times because the attendees simply could not believe they would pay tuition after they have secured a job. 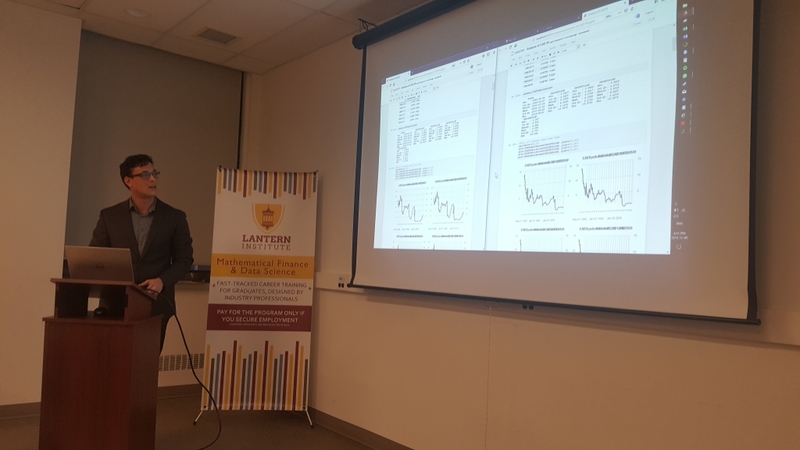 Another WOW moment occurred when Dr. Montazeri explained that our courses are designed and taught by professionals working in the data science and finance industry on Bay Street, allowing Lantern to teach only the skills needed in the industry. 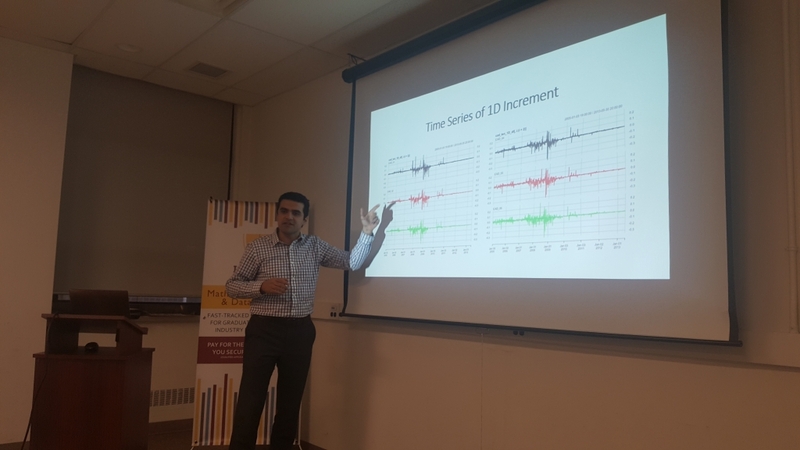 The room lit up when Dr. Montazeri stated: “If we wake up tomorrow and Bay Street is no longer using Excel, then we don’t teach Excel anymore”. Attendees were enthused by our reactive and fluid curriculum. We would like to extend our thanks to all of the individuals who attended the July 24th session. For those of you who missed it, don’t worry. We will be hosting another information session in a couple weeks so you can be amazed for yourself. To RSVP for the upcoming info session, click here!